Well, they may be, but this one really is different. And according to The Poached Egg, it is well worth your while. I reviewed it, and I agree. 1. It provides one of the most comprehensive investigations into the historical Jesus through interviews with a number of the top Biblical scholars of our day like Richard Bauckham, Craig Blomberg, Michael Brown, Paul Eddy, Steve Gregg, Gary Habermas, Craig Keener, Mike Licona, Dan Wallace and Ben Witherington III. 2. Because of point #1, you will be able to quickly and easily understand the trustworthiness of the gospel accounts as historical eyewitness documents. It will also give you a sense of where the controversy over who Jesus actually was (or if he existed) came from. 3. It’s suitable for families, including older tweens and teens. 4. Given point #3, you can effortlessly learn and discuss as a family why and how we know what we know about Jesus and Christianity this Easter. Big gold star for being a proactive parent! – Did Jesus really exist as a person in history (or is he a made up concept)? – How do we know that the gospel accounts aren’t embellished accounts of who Jesus really was? – Is it true that the gospels have been changed over time? How can we really know what they said? – In an age of science, how could you possibly believe in miracles like Jesus’ resurrection? – Couldn’t Jesus have just posed as the Messiah since He knew what the prophecies foretold? 6. It’s free! Watch it here. 7. As a result of point #6, you can blow your hard earned money on something else (or buy a copy for your church or to lend out to friends)! The documentary is by the Nesch Brothers. It’s in six parts, so you can work through it at your own pace. Its got excellent content and I definitely recommend it. 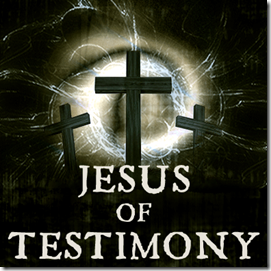 You can check out the Jesus of Testimony Facebook page for more information. Filed under Activities for Easter, Apologetics for Kids, Apologetics for Parents, Can We Trust The Bible and its Authors?, Did Jesus Rise From the Dead?